Why is this man smiling? 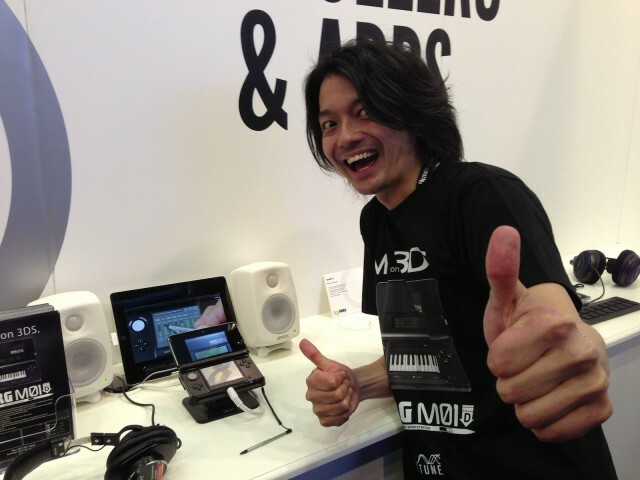 Because he’s just shown of M01D, his brilliant synth made for the Nintendo 3DS. Detune’s Nobuyoshi Sano. Nobuyoshi Sano is kind of a mad genius. The writer behind some of the scores for Ridge Racer and Tekken, the talented musician has also turned out some of our favorite mobile music apps, as founder of Japanese dev house Detune. He built the somewhat-ridiculous iYM2151 workstation on iPad, but is best known for the Korg iMS-20. And now, he’s got something new. Japan has already gotten a taste of M01D, the classic Korg M1 remade and rethought for the Nintendo 3DS. But only a select few have been in the know outside Japan. That changes now. 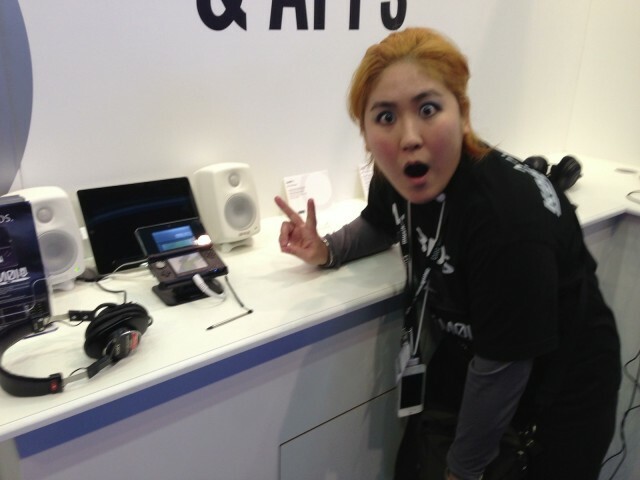 I just got to meet Nobuyoshi and Japanese artist CardiacTrance at Musikmesse at the KORG booth, and have specs from Detune on the M01D. You can expect a full release worldwide by summer on the Nintendo eShop; Japan gets this early in May. An M1 for a game console in and of itself might sound uninteresting, but that’s before Nobuyoshi goes crazy with the idea. 8-part multi-timbral synth with 342 sounds, for a maximum of 24 voices. All of the original sounds from the KORG M1. Seriously, all of them. Selected sounds from the 01/W. New sounds exclusive to the M01 on 3DS. Master effects: Reverb and Delay. 8 track step sequencer with up to 64 steps per scene and up to 99 scenes. KAOSS mode uses the popular KAOSSilator layout so you can input notes, chords, and drums easily from the touchscreen, mapping to the right notes rather than, uh, sounding awful. 3DS song data exchange with your friends locally and – finally – over the Internet. Dutch-Japanese collaborations will never have been this easy. But I do still want to visit Japan. The upcoming title could be reason to buy a 3DS if you don’t own one already. Sadly, because it’s tailor-made for the computing capabilities of the 3DS, this will be 3DS-only. But it sounds utterly brilliant, and, uh, yes, you can look at the relatively flat front panel of an M1 with the 3DS’ 3D effect turned on. Or just go cross-eyed, really, for the same result. Price TBD, but it seems somewhere in the US$30 range of the DS-10 is likely. It’s going to be a fun summer.